Peri is afraid no one will pick her as a friend in her new town of Bell Buckle, where she and her father move into a dilapidated house they are turning into an inn. To make matters worse, she’s always losing or forgetting things. By caring for a litter of puppies, Peri hopes to earn back her father’s trust; unfortunately all she gains is trouble when things she is responsible for start to disappear. With the help of Lynn Ann, the girl who lives across the street, and Squirt, an eight-week Labrador, Peri conducts her own investigation to track down the stolen items. Could there be a burglar among the residents of Bell Buckle? More important, why is he stealing her things? During her probing into the mystery, Peri finds more than just the stolen items. She discovers the love of the people in Bell Buckle, and she finds a renewed faith in God’s ability to answer seemingly impossible prayers. This month, I had the pleasure of doing a Q&A interview with Janice Alonso, a Chicken Soup for the Soul author. In case you are not familiar with this series, it is the modern embodiment of all I'm trying to put across in this blog - Positive attitude and kindness! The way Jan's writing caught my attention, though, was through her new e book, Who'll Pick Me, available from smashwords.com. Now, at the moment, this book is free(! ), but don't wait too long - Once people find out how good it is, who knows? Gail: Is Who'll Pick Me your first children's book? Janice: Yes. I’ve published several children’s short stories in magazines, but this is my first book. Gail: Really? How impressive. My daughter and I read it, and each enjoyed it in her own way. She was charmed by all those puppies on the cover. How did you come up with the story, and its setting? Janice: After having some success with children’s stories in the magazine market, I made the conscience decision to write a book. I did not have a moment of “enlightenment” where a great idea came to me; rather, I wanted to try to expand my skills into a longer work. Since the Nancy Drew series was my favorite growing up, I chose mystery/adventure as my genre. I moved around a lot as a child, and we also moved our two sons many times as they grew up. “Will I have friends in the new place?” was a concern we all had. I placed that theme into a mystery story that involved my love of labradors and that became the parameters for the book. As far as the setting, I’ve always loved small towns and fell in love with the name “Bell Buckle” when I visited Bell Buckle, Tennessee for its annual RC Cola and Moon Pie Festival. Since I was there only one time, the fictional town does not resemble nor is it based on the real one. Gail: I just couldn't resist a visual aid at this point. In spite of Janice's sugar-laden (but really fun-looking) connection with the real Bell Buckle, I noticed that the characters in her book ate really well - Not in a preachy-healthy-crunchy way, but just good, balanced, sensible eating. I like that in a kids' book. It sends the right message. On a shift of subject here, isn't it amazing how many children's books begin with the loss of a parent? I mean, from David Copperfield to Harry Potter; from your main character, Peri, to a couple of my own books' heroines, Julia Carroll and Hope Lockhart, it's a regular graveyard of deceased parents! What do you think about this? Janice: Hmm, I’d never thought about this, but how true! When creating Peri, I went back to my plan for writing this book. An author needs the reader to be engaged with the main character, as well as “pulling for” that character to succeed in whatever that character’s “want” is in the story. I grew up without a father and know many people who lost a parent as a child. “Widows and orphans” are traditionally heartstring-tuggers, as you point out. For Peri I chose loss of a mother. I felt that moving to a new town and worrying about not having friends was underscored by not having her mother to console her. This loss made her need to have friends in the new town more urgent. Peri’s dad and Aunt Susan are wonderful characters, but neither is her mother. Gail: That's right, and you treated that theme really well. Often, it just seems like the author put the parents out of the way for convenience's sake, but you ran with the ball and let us in on some of what Peri's going through (warning to readers: you might want to have the tissues handy before you sit down with Who'll Pick Me; I was welling up by the end of Chapter 1, and I'm a tough sell). Another very successful theme in children's literature is community. Who'll Pick Me conveys this quality beautifully, and on several levels. Do you think the concept of community is on the decline? Janice: I hope not. We’ve always lived in big cities, but I made a point of becoming one with the new area into which we moved by making a small community within the large one. More importantly, I moved our “family community” with us. The Alonso family’s community was built on church and church-related activities, being involved in the neighborhood (swim team, seasonal parties, etc. ), joining the library, visiting parks and historical sites . . . in short, we did the same things we did before but within a new landscape and with new faces . . . we visited the beach in South Florida and Lake Michigan in Chicago. In Atlanta it was Stone Mountain. So, it was our activities and interests that we brought from one community and adapted to the new one that provided our sense of belonging. I like the overall theme of “acceptance” in Who’ll Pick Me? because while we want to retain our individuality, we also want to belong to a group. Hopefully, this feeling of wanting to belong will perpetuate the need for community. 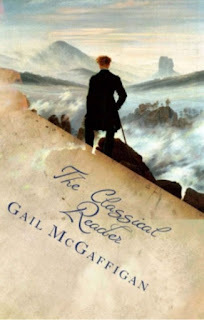 Gail: Yes, I think it will; that's why books with this theme resonate with readers. Say, where can we find more of your writing? Is this your first published book? Gail: It's a good-looking website, with some more complimentary samples of Janice's writing. Please tell me, Janice, about your favorite setting in which to do your writing, and on what you write (paper tablet, back of old grocery lists, smartphone, iPad, computer?). Janice: I do most of my actual writing on my laptop in my office, but I always have a little notebook and pen with me. As far as my ideas for writing, I wake up each morning and read a devotional and the Bible, and I pray. Many, many of the ideas that ended up in that little notebook came in that first hour of awakening. I also like to write outdoors and in coffee shops. Gail: My pastor, Linda Forsberg, is a great advocate of the bedside writing-journal, as well. What other advice would you give children and teens who dream of becoming writers? Janice: First, I would encourage them to learn their grammar and syntax! No matter how beautiful your thoughts may be, if your goal is to share your stories with others, your readers must be able to understand you. This clarity in writing will come from learning the rules of writing. Once you have mastered these rules, you may bend and reshape them anyway you want; however, you need to know the rules first. Second and third, I would encourage them to read and write. Remember, a writer writes; a great writer writes everyday. If any of you have a specific question or concern with the writing process, you may email me by going to my website above. I don’t critique or edit writing, but I’ll try to answer any questions you may have. Gail: That's very generous of you, Janice. What else do you have in the works? Can we look forward to a sequel to Who'll Pick Me? Janice: Currently, I am writing a bi-monthly column for the Georgia Writers Association, taking previously published stories and offering them on Smashwords/Amazon, and yes, I’m preparing the first draft for the sequel to Who’ll Pick Me? I’d like to thank you so much for sharing my work on your blog and introducing Peri to your followers. Gail: Thank you, Janice, for your time, as well as sharing the gift of your writing.